3Sisters Adventure Trekking Pvt. 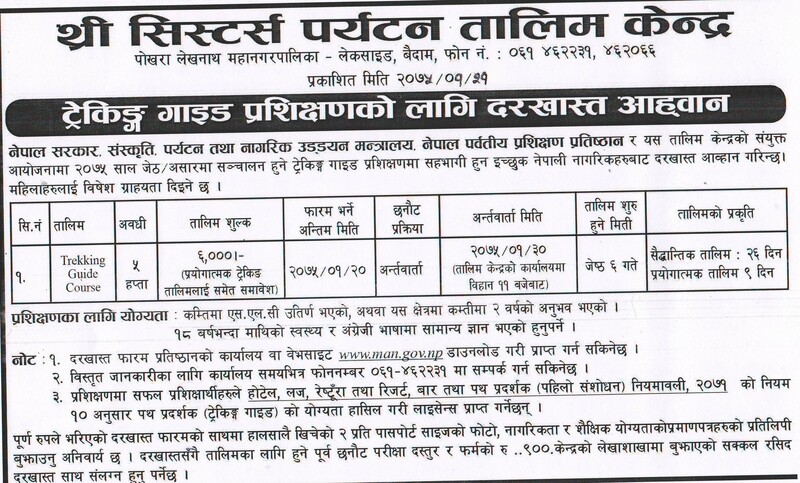 Ltd. in association with Ministry of Culture, Tourism and Civil Aviation (MOTCA) Nepal providing trekking guide license. Trainees must take five weeks course to apply for guide license and training will be held from May 20, 2018.